Files Chapel Baptist Church originated in 1932. It began with a few gathering with Mr. Jim Hargrave, a principal and educator at Yarborough School located in the Little Florida community, known today as Washington Park. People met once during the week for Bible Class and on Sunday mornings for Sunday Church School. The purpose of these weekly meetings was to discuss the needs of a community-based church in the surrounding neighborhood. In 1932, Mr. Jim Hargrave along with other dedicated people went on a search for a church building. While on this search, they purchased and began having services at the Colored Holiness Church of God, today known as Files Chapel Baptist Church. Mr. Hargrave and a faithful few members then went in search for a minister to lead this flock of people. In this prayerful search, they called Rev. 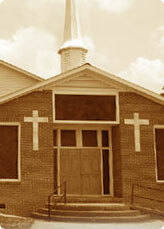 J. L. Files to pastor the Colored Holiness Church of God, which later became known as Files Chapel Baptist Church. Rev. Files was a native of Winston-Salem, N C and the former pastor of Mount Zion Baptist Church in Winston-Salem, N C.
Rev. H. A. White, a native of Chester, South Carolina, succeeded Rev. Files. Rev. White initially held service every other Sunday afternoon and later went to every Sunday morning. During his tenure, he helped organize and build a fellowship hall. His baptisms were held in the muddy branch down behind the church. Following Rev. White, Rev. 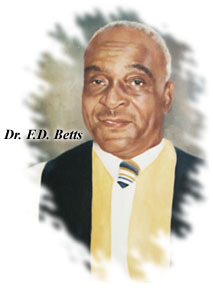 Frank Douglas Betts, a native of Perdito, Alabama became the pastor in 1951. He had visited the quaint little town on a number of occasions, particularly for Spring and Fall Revivals. He found the people were always hospitable and seemed hardworking and determined. Under his leadership, membership continued to grow, church renovations were completed inside and out and a church parsonage was purchased. After the death of Rev. Betts in November 1995, Rev. John W. Cade became the interim pastor and later pastor. Under the leadership of Rev. Cade, the church has continued to grow to overflow capacity. There have been more renovations inside and out, which have created the facelift that we see today. He has strengthened the existing auxiliaries and his creativity has led to the creation of new ones. 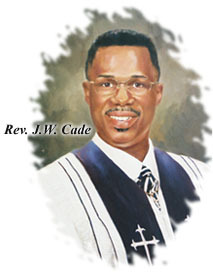 One of his proudest achievements is the Cade's Youth Church, which is held every second and fourth Sunday. Today, we stand firm on our faith in God that the Files Chapel Baptist Church family will continue to progress under the leadership of Rev. John W. Cade.